Two (2) Crocodiles were sitting at the side of the swamp near the lake. President Barack Obama 40-Year-Old Political Virgin. This is a Parody for the very funny 40 Year Old Virgin Movie. Americans go to the polls Tuesday in what is already one of the most historic elections since the nation began. 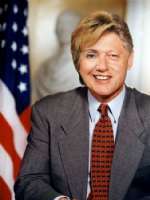 True Hill Billy is a picture of Hillary Clinton and Bill Clinton merged into one.